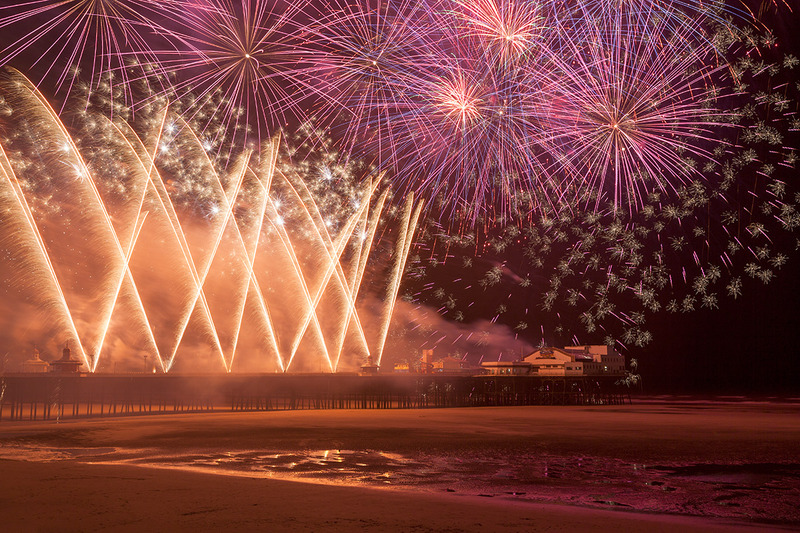 Throughout September I joined the thousands of spectators who lined Blackpool promenade to enjoy four explosive displays of light and colour as Blackpool hosted the spectacular World Fireworks Championships. 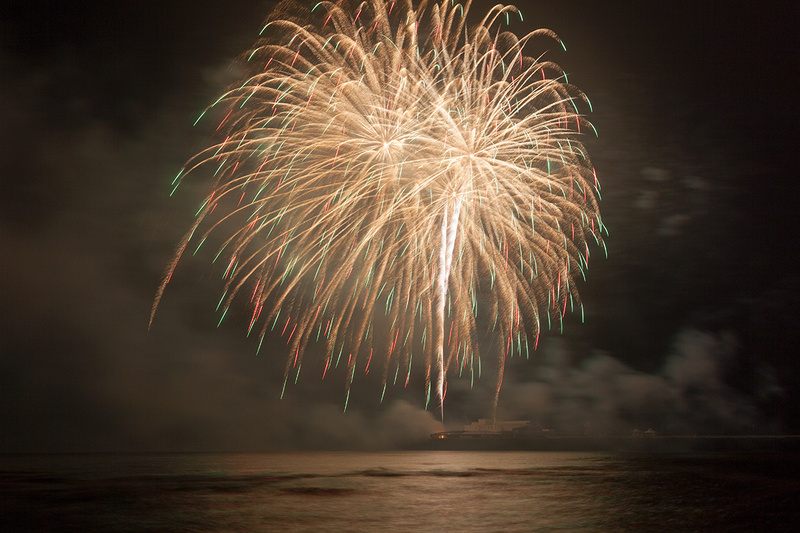 The 2014 line-up featured some of the most talented and technically gifted fireworks engineers from Sweden, Austria and Canada as well as the UK’s Titanium team who entertained the crowds with an exhibition display on the final night after the announcement of the competition winner. Each Friday night from 5th September to 26th September I headed down to the seafront near North Pier to capture the pyrotechnical prowess of each of the finalists with the intention of creating a mini series of my best photographs of the Blackpool World Fireworks Championships to share with you all. First to perform was Sweden’s Linders Pyrotechincs. I arrived in Blackpool just before 7:30pm to find a good spot to plant my tripod and shoot my photographs. I settled on a place just past North Pier and as more and more spectators (and other photographers) filled the promenade and took their positions I realised I’d made a good decision to turn up an hour early. The display only lasted ten minutes, so I experimented with different ISO’s, shutter speeds and apertures so I could analyse the results and improve when I went back to photograph Austria and Canada’s entries to the World Fireworks Championships over the next two Friday evenings. The weather was ideal for photographing fireworks and, even though it was high tide, there was only a slight breeze which didn’t affect the stability of my tripod. Photo Tip: If you’re shooting long exposures in windy weather give your tripod additional stability by hanging your camera bag from it’s central column. Next up at the World Fireworks Championships in Blackpool was Austria’s Lukasser Design Fireworks. This time round it was low tide during the show so I was really pleased to be able to walk onto Blackpool beach and get close to the display. There was a safety marshall who stopped anyone getting too close to North Pier and a long line of photographers were already in place by the time I arrived (this is why you/I should always arrive early!). I sandwiched myself between two photographers and managed to position my camera so I could capture the reflection of the fireworks in the water. Last to compete was Canada’s Firemaster Productions. Although I arrived earlier, this time I had to join the many spectators who were sat on the steps as the promenade was absolutely packed and the beach was off limits due to high tide. Canada’s display was dramatic and beautifully choreographed to the background music. My favourite photograph from this series captures the UK Titanium team’s spectacular ending to Blackpool’s World Fireworks Championships. Their display was absolutely amazing and they didn’t even have a chance to win! Canada’s Firemaster Productions were crowned the winners, but I must say that all the teams did a fantastic job of entertaining the Blackpool masses and I had a great time photographing all of their stunning fireworks displays. 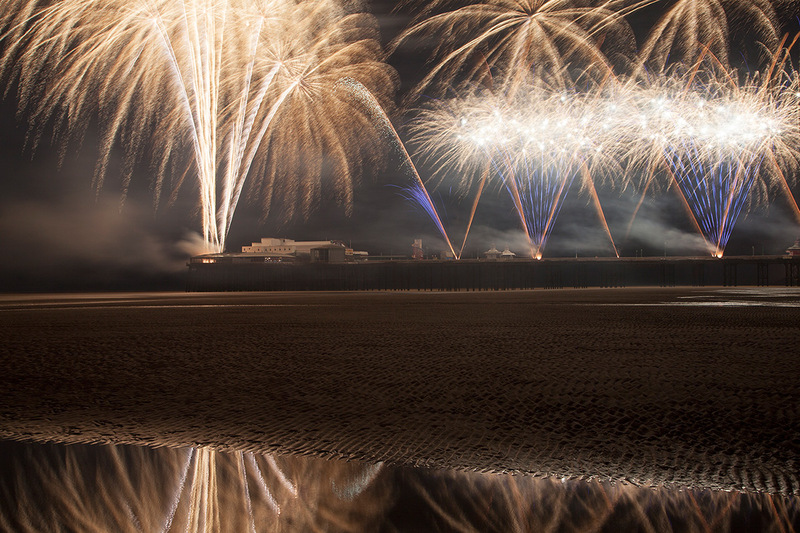 Did you go to Blackpool World Fireworks Championships? Take some pictures? Make sure to tweet your pictures with the hashtag #BPLfireworks. I would love to see them! If you like what you see please share you favourite photograph with your friends and followers online. If you really like what you see and would like to feature or licence any of my photographs from the Blackpool World Fireworks Championships I’d be happy to hear from you. As always, if you have any questions or comments please leave them below. 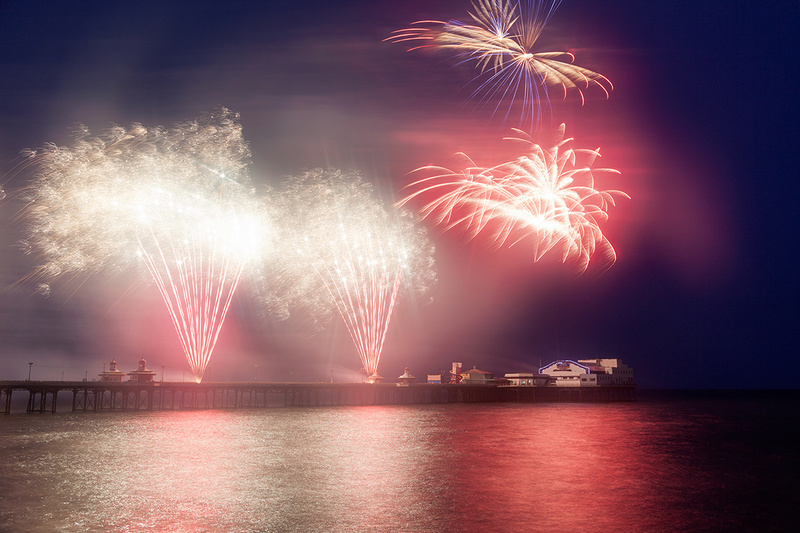 This entry was posted in Blackpool and tagged Blackpool Fireworks, Coast, North Pier, Pyrotechnics, Seaside, Things To Do In Blackpool.